One pair of water proof pants, one water proof jacket (white), these from Karstat Sport. 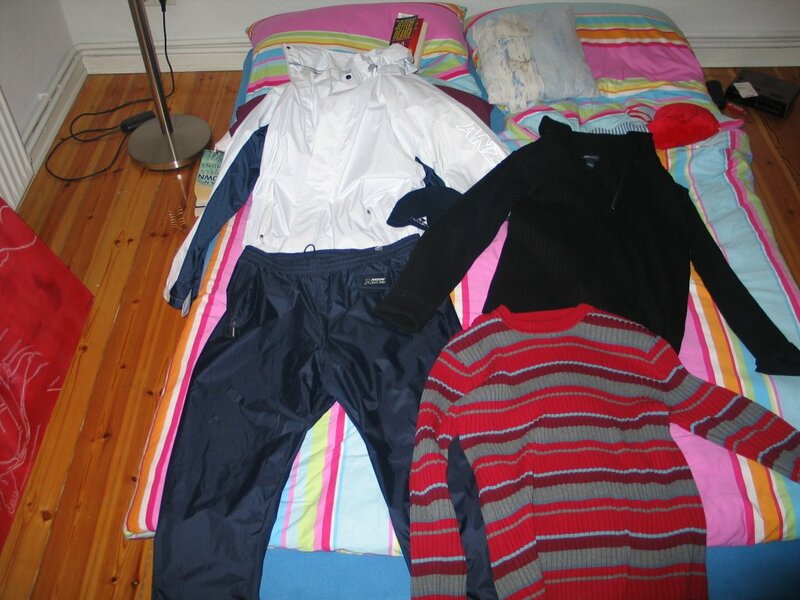 Two jumpers on the right hand side are from H&M. I combined my black jumper with a Bennie that I bought over from Australia. 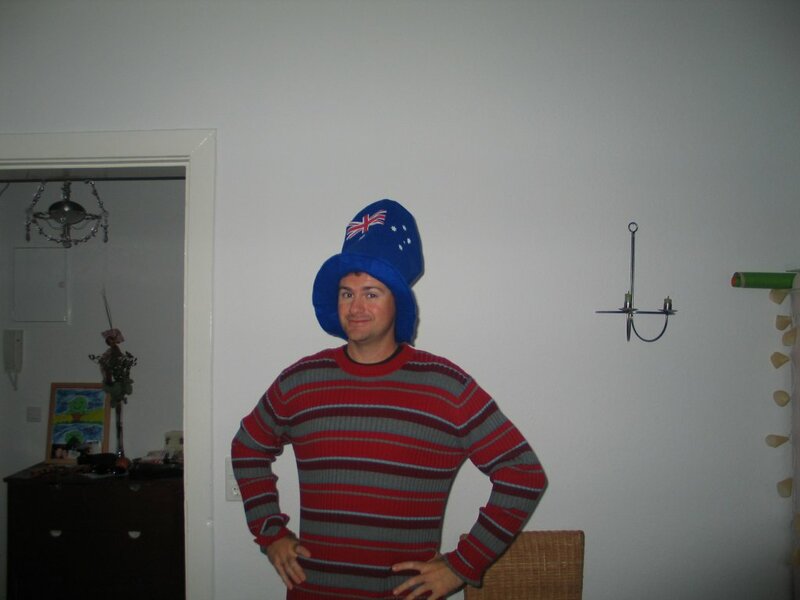 It was a present from the KLM group a few Christmas back. 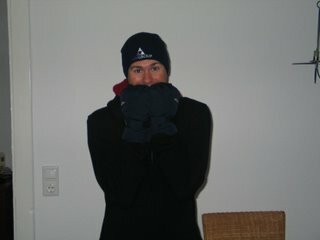 I also was wearing some gloves that Britty’s mum gave me. Very Warm. 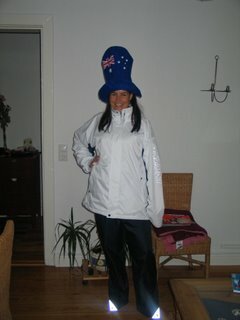 Here is the beautiful Britty modelling my rain clothes for me. Looking good Britty! This is me in the second jumper. This one wasn’t a bad pick-up. Looks ok on me, even though when we were looking I thought it might be a bit high on the Gaydar, but it turned out ok. So far all of these clothes cost me about $200 or about 115 Euro. I will need to buy a full winter jacket, and thinking about some warm shoes. Might just wait until it really starts to get cold before buying these! Also is strange to think that in a month or two it is going to below freezing a lot of the time! It is going to be a total change!